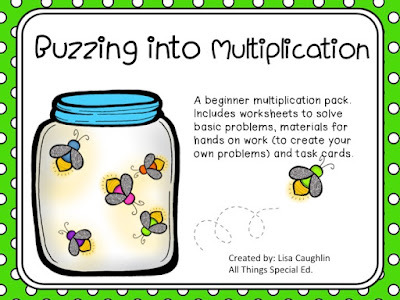 Buzzin into Multiplication! - All Things Special Ed. Well I finally did it! 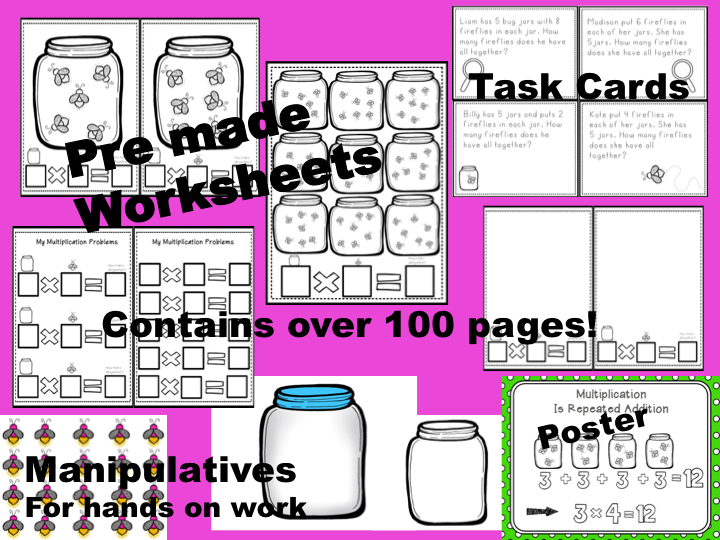 I completed my first TPT product. 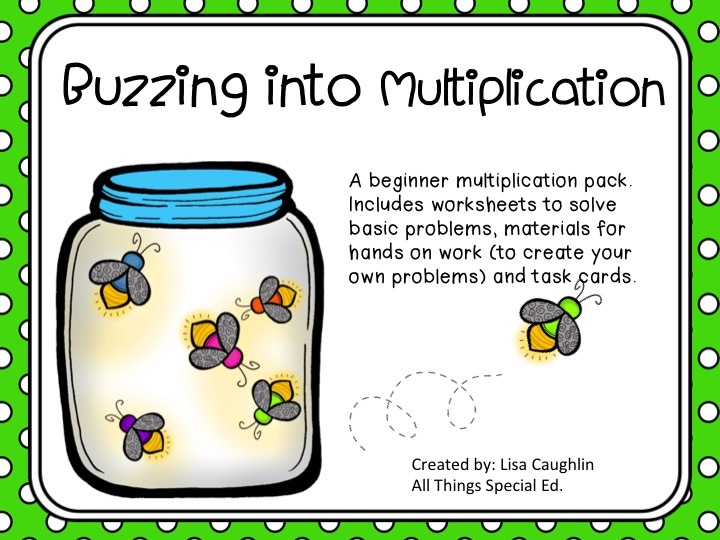 My 4th grade special education students were struggling with multiplication and I couldn't find anything that I liked to help me teach this concept so I made something myself!! I first started with a picnic theme but as I was messing around with it, I got frustrated and started over. Well then came the bug jars and fireflies. I think it turned out super cute and since I am still teaching, I tested it out with my students. I had super success!! Kids loved it. 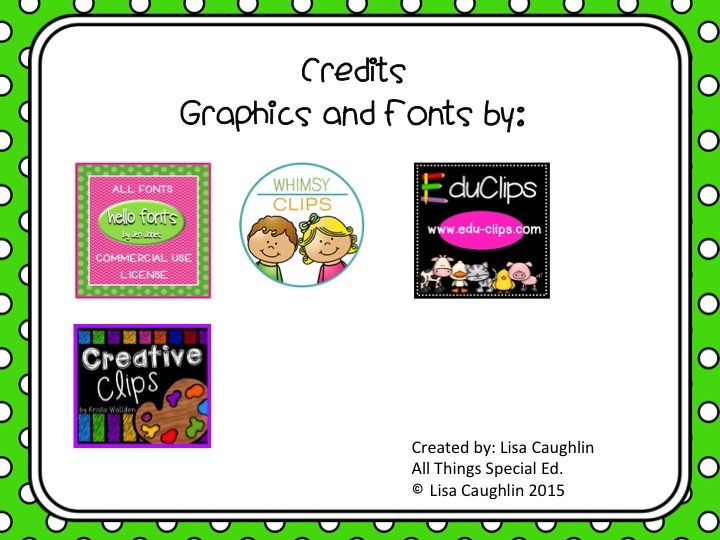 So if you are working with younger elementary students or special education students (working on Common Core Essential Elements? We are!!) then this packet is for you! You can use it for seat work, small groups, or centers. I hope you hope on over to my TPT store and check it out. Click on the my TPT button on the top of my blog!